How to integrate LiveCall with Facebook Lead Ads? How to integrate LeadSquared with LiveCall? How to track conversions in Google Analytics? 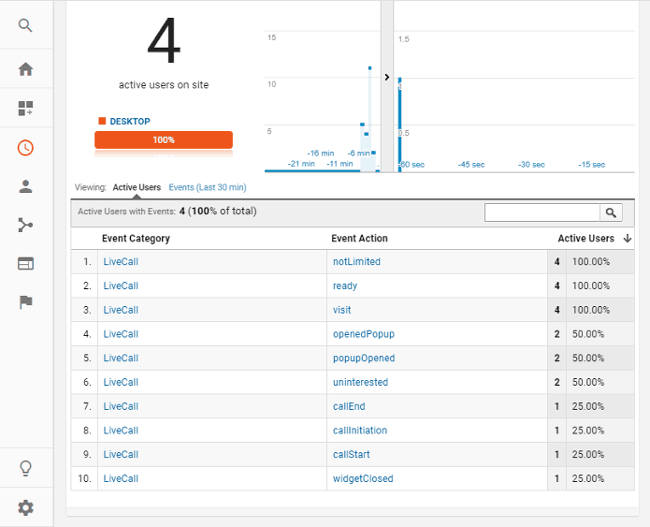 If you track LiveCall conversions in your Google Analytics account you&apos;ll be able to optimize your lead generation funnel and marketing spending. In this short guide we&apos;ll show you how to kick off. Although this may not be obvious, there is a difference depending on how you have your GA installed. 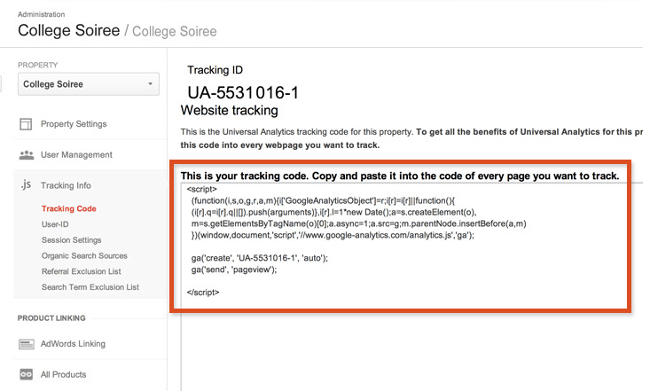 In this post we only deal with Universal Google Analytics code that is installed directly in your website code or through a plugin, which does not distort the following code. Unfortunatelly, GA installed with GTM or with different code like Global Site Tag (gtag.js) will not work this way. Go to your LiveCall Settings and make sure that "Integrate with Google Analytics" option is ticked. callEnd — when a call is finished. In most cases requesting a call-back and sharing phone number is treated as a conversion. For this reason we will use callInitiation event as a conversion. For Goal setup select "Custom"
For Goal descrptiption put your name ex. LiveCall initiation and select "Event"
Well done! Your integration is complete. Note: If you would like to limit the events that are sent from LiveCall to GA, shoot us a message on chat or at hello@livecall.io. We can change the settings for you to send only selected events.